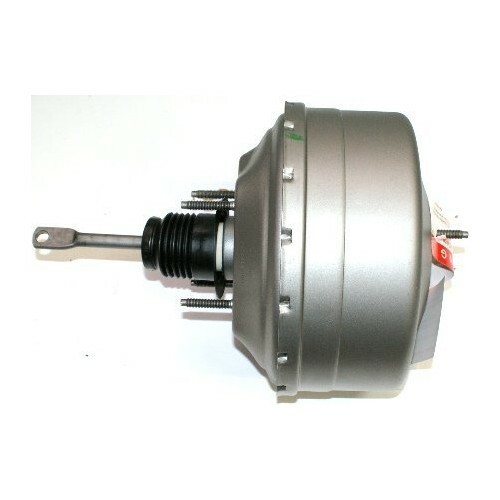 The ACDelco Professional Reman Power Brake Booster is a quality remanufactured part that connects the brake pedal apply system to the master cylinder. Each power brake booster unit contains new seals and O-rings and is the ideal high quality aftermarket replacement for many vehicles on the road today. Pre-adjusted master cylinder output rods are included where applicable. Remanufacturing power brake boosters is an automotive industry practice that involves disassembly of existing units, and replacing components that are most prone to wear and failure with new components. Damaged and obsolete parts are replaced and are 100% end of line tested to ensure they perform to ACDelco specifications. In addition, remanufacturing also benefits the environment by returning components back into service rather than processing as scrap or simply disposing of them. ACDelco Professional Reman Power Brake Boosters are also coated to help prevent rust and extend the life of the part. This premium aftermarket power brake booster is manufactured to fit a wide range of vehicles and will provide the same performance, durability, and service life you expect from ACDelco. Fast shipping on purchased item. Had in stock when other's did not. It was great, you had excellent prices, and the 2nd day shipping was better than most competitors. Your check out process through amazon showed error. I have NEVER had a problem checking out with amazon!!! I'm unsure how it's connected to my amazon account but that made it faster. found what i wanted , hoping there the right one ..